The vegan diet is gaining in popularity every day as more and more people switch to a meat-free lifestyle. While it is no longer uncommon to come cross people who do not eat meat, you may be surprised to find that some dog owners are switching their pets to a vegan diet as well. Before you switch your dog to a vegan diet, take the time to learn the pros and cons of such a choice. One of the most common reasons individuals switch to a vegan diet is out of concern for the animals that are slaughtered to produce meat-based food products. Vegan dog food is considered a cruelty-free option because no meat products are used to produce the food. Many owners of vegan dogs claim that their dogs eat their vegan food just as enthusiastically as they used to eat their kibble and that the switch has had no adverse effects on their health or activity levels. In fact, some dog owners claim that switching to a vegan diet has given their dog more energy. They key concern in switching to a vegan dog food is making sure the dog’s nutritional needs are met. Plant-based foods are naturally high in nutrients, but it can be difficult to find the right balance of ingredients. In order to achieve this balance, the producers of vegan dog food must do a great deal of research and testing which, in the end, assures a higher quality product. If you do any research about vegan dog food, you will find that the main point of opposition to the trend is the fact that dogs are natural carnivores. Being descendant from wolves, domestic dogs have evolved to follow a similar meat-based diet. While the diet of wolves is not entirely based on meat, vegetables and carbohydrates are primarily gleaned from the stomach contents of prey. Given the fact that vegan dog food is entirely meat-free, one might wonder how such a diet would meet the nutritional needs of a dog. A dog’s body is not designed in the same way an herbivores is to easily digest fibrous vegetables and grains. In addition to these concerns is the fact that dogs require 22 different amino acids in their diet to receive balanced nutrition—their bodies can only synthesize 12, so the other 10 must come from their diet. The best sources of amino acids are protein sources such as chicken, beef, lamb, fish and eggs – ingredients that are missing from vegan dog food. In order to meet a dog’s nutritional needs, vegan and vegetarian dog foods generally require the addition of synthetic amino acids as well as synthetic fatty acids that might otherwise come from fish oil. It is ultimately your choice what you feed your dog, but make sure that your choices do not compromise your dog’s nutrition. What Should I Store my Dog Food In? 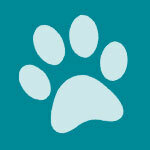 Kate Barrington is a freelance writer specializing in the subjects of pets and health/fitness. She is an avid dog lover and proud owner of a golden retriever named Ginger. Kate has over 5 years of experience writing articles, blog posts and... See more. sounds like Kate doesn’t believe in Vegan dogs.